Gum of aloe is a yellow, thick, sticky and bitter sap that is obtained from most aloe plant varieties. Industrially, it is also referred to as aloe latex. This should not be confused with the popular gel that contains many antiseptic properties and is obtained when the aloe leaf is broken. Gum of aloe and aloe vera gel are different but frequently confused. Aloe is a plant native to Africa and the Arabian peninsula. There are more than 400 species in the genus. However, different varieties and species of the plant are grown as agricultural products in large farms in South Africa, Kenya, Venezuela and Mexico. Gum of aloe is found in the inside of all aloe plant leaves. It is found in the pericylic cells that surround the phloem and xylem of the plant. Most species of this genus produce the sap. However, the aloe barbadensis miller, aloe secundiflora and aloe forex produce the best quality liquid. 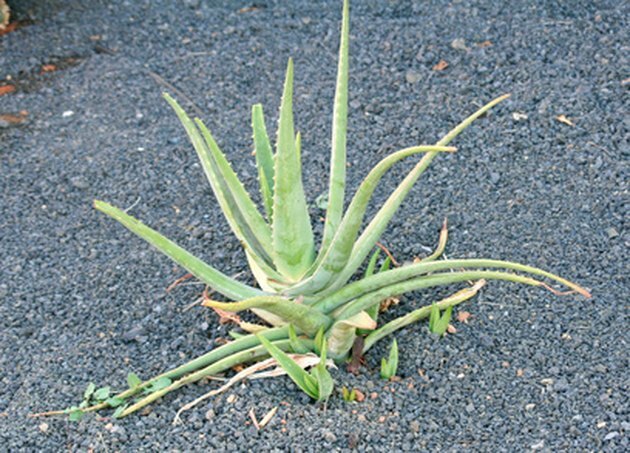 Aloin, derived from the aloe leaf, was once a common ingredient used in laxative products. However, this component of the aloe leaf was banned by the FDA and is generally removed during the processing procedure. Excessive ingestion of this component can lead to cathartic reaction by irritating the large intestine. The sap or yellow juice (gum) is refined from the raw product for use in the cosmetic and pharmaceutical industries in the form of bath salts and oils, body oils, soaps, creams, lotions and a myriad of medicines used to cure ulcers, diabetes, Crohn's disease, ulcerative colitis, psoriasis and genital herpes.